Sorry, a graphic could not be displayed here, because your browser does not support HTML5 Canvas. 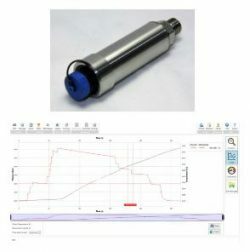 This converter and dynamic conversion scale will calculate the equivalent pressure value from one pressure measurement unit to another and generate a conversion table based on the selected units. Enter the value you want to convert in the upper input box. Select the corresponding units from the upper pull down options. Select the units to convert to, from the lower pull down options. The conversion will show in the lower text box. You can use this converter to copy and paste values as well, after pasting a value, just click/touch one of the text boxes or select a unit to convert the value. Convert pressure units with the pressure unit converting tool, look up a conversion from the tables, identify a pressure unit and its group association with other pressure units, or find the relevant pressure conversion factor in pascals. 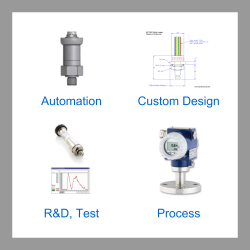 Choose a look up table for converting a particular pressure unit or for a specific pressure conversion application. The following list shows each pressure unit and its equivalent value converted into pascals (Pa). The pascal is the SI unit for measuring pressure. N.B. Numbers which include […] on the end are rounded. The following units are known as manometric pressure units and are derived from the pressure exerted by a column of liquid under the acceleration of earth’s gravity. Each manometric pressure unit is shown with its equivalent value converted into pascals (Pa). The pascal is the SI unit for measuring pressure. 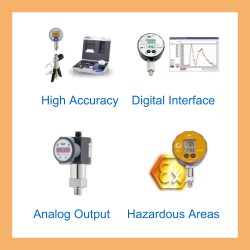 Since the pressure of the fluid column can vary with changes in liquid density and local gravity it is important to quantify these factors when using these units. The physical assumptions that these conversions factors are based can be found at the bottom of this section. The use of manometric units is discouraged by national standard organisations because they do not precisely represent the true pressure and there are differing conventions used for the temperature and density of the liquid which can lead to variation in accuracy. Send us your enquiry for a product associated with this Pressure Converter & Conversion Guide page, and get assistance with selecting a product for your application.